During my ongoing quest for a church to attend I have devised a genius test. 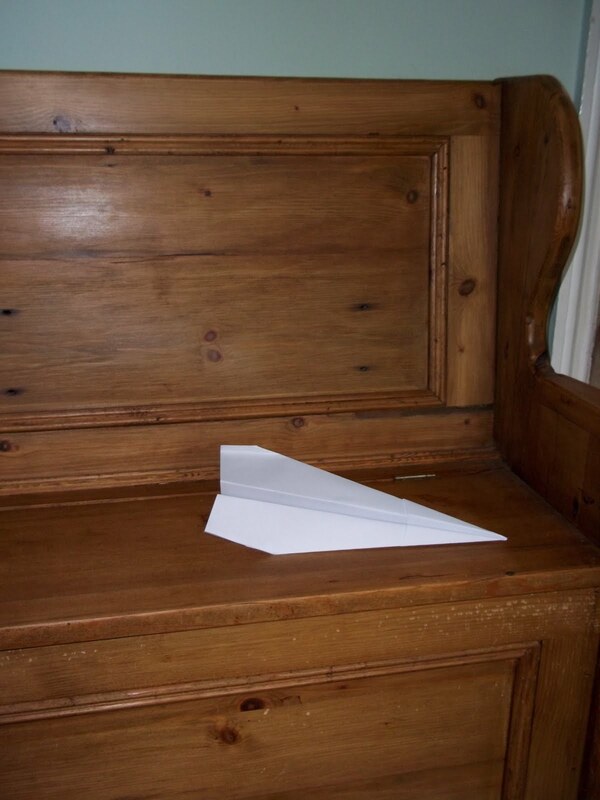 I’m calling it: ‘The paper airplane test’. If I’m sitting in a new church, listening to a sermon, do I feel free enough to make a paper airplane and throw it? If ‘no’ – avoid church in future. If ‘yes’ – consider attending church. It sounds childish, but this is a test for people of all ages and it does have some rationale. I’m not suggesting I should throw the airplane at the preacher during his sermon (although I like to think that if one of the disciples did that during a parable, Jesus would find it highly amusing and not look at them as if they had just performed their own mini 9/11). The next time I’m in a church I shall see if I feel free enough to do it. If there is a stifling, constrained atmosphere then maybe the church has failed the test. Of course the church in question may say that it is my fault that I feel that way and they can’t be held responsible for my feelings. Talk about shirking responsibilities! I’m having none of this! If I have stomach ache in church whose fault is it? Hmm? Hmm? That’s right – it’s God’s fault – and by sheer spiritual delegation the church’s fault (never mind what I ate beforehand!). The serious point I’m trying to make is that in a church, a person should feel a degree of freedom of thought and expression. A person shouldn’t feel worse at the end of a church service than when they went in. The bible explicitly states: ‘Where the Spirit of the Lord is there is freedom’. So I think it is a reasonable test to see just how present the Holy Ghost is within a church service.